Attach one half of this interlocking hanger to your project, the other half to a tree, wall or fence, then simply slide together to hang your project. Slide-together technique is super strong!! Use for mounting bird houses or bird feeders directly onto a flat vertical surface for hanging upright. 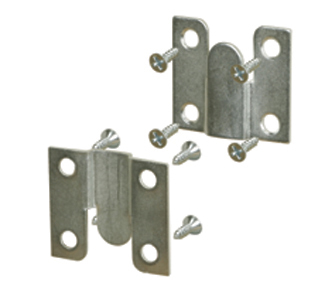 Includes two screw in pieces 1-3/4" wide x 1-1/2" tall (screws included).